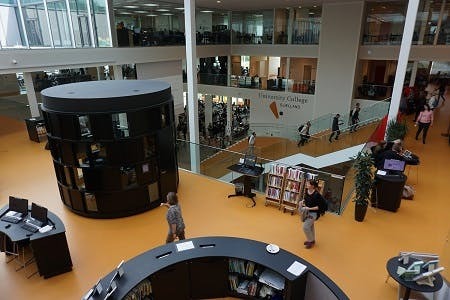 University College Absalon covers the region of Zealand and offers eleven professional bachelor degree programmes - two of which are taught in English. Furthermore, several international modules are offered each semester at different campuses. With eleven different professional bachelor degree programs, University College Absalon is the cornerstone for education in region of Zealand. This is the first University College in Denmark to achieve an institutional accreditation. Their programs work in close collaboration with the professions that their students are training to become part of. Our programs work in close collaboration with the professions that our students are training to become part of. This ensures high-quality traineeship opportunities as well as a constant development of our programs to provide graduates with the needed skills to join and navigate in an ever-changing job market. Research at University College Absalon addresses the challenges and opportunities that are shaping the future of our professions and their professional work. We work with applied science enabling strong connections between research, development and innovation. Our research is carried out in co-production with the public and private sectors at a regional, national and international level. We apply a wide range of research methods covering both qualitative and quantitative approaches, with a strong emphasis on user involvement and continuing development towards both the professional and the educational practice. 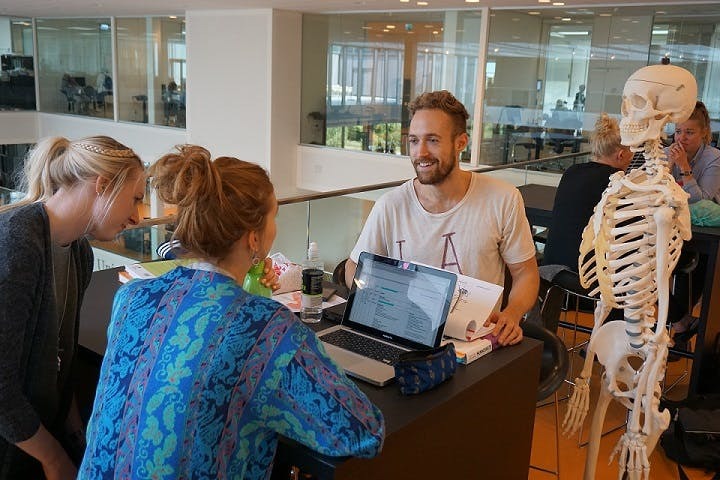 University College Absalon is staffed by committed teachers who are there to guide you through your education and help you take the next step in your development as a student. Before arriving in Denmark, you should arrange accommodation. Be aware that renting a room in any of our campus cities will often cost between 3000 - 4500 DKK per month. Find your campus below to know what types of accommodation are available to you. Please note that University College Absalon cannot guarantee accommodation - in the cities where we do offer housing, the rooms are available on a first-come first-serve basis and might have a waiting list. Our libraries contain specialist literature on subjects such as social science, health and nutrition, gastronomy, ergonomics, nursing, sciences, medicine and education. The University College Absalon IT department is based in Sorø, but IT staff is present at all campuses every week.The IT department is responsible for University College Absalon’s digital infrastructure and is involved in the technological development of University College Absalon in terms of both administration and teaching. Some campuses offer different types of accommondation. However University College Absalon cannot guarantee accommondation on (or close to) campus as the rooms are available on a first-come first-serve basis. Kalundborg Campus - Kalundborg is a well-preserved medieval town. This means you can visit the old parts of town as well as the 'modern' Kalundborg. The town also has a cruise port. Campus Roskilde - Roskilde is one of the oldest cities in Denmark. Campus Slagelse - The Campus is located 15 min’s walk from the train station in Slagelse. Campus Slagelse - Sport activities like fitness center, swimming and tennis are close to the school. 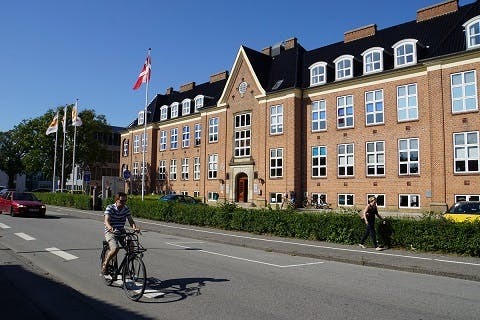 We are the first University College in Denmark to achieve an institutional accreditation, a much-coveted distinction and the highest official recognition for quality assurance of higher education institutions in Denmark.